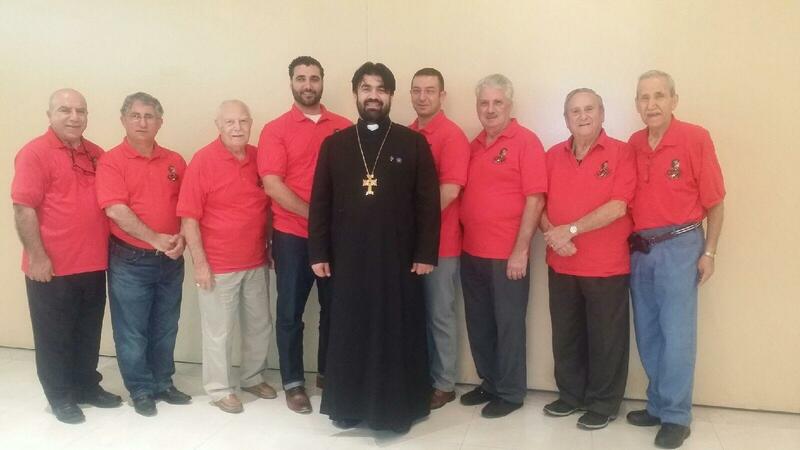 Members of the Knights of Vartan, Hayasdan Lodge at St. David Armenian Church. BOCA RATON, FL – Last month, the Knights of Vartan, Hayasdan Lodge, in collaboration with St. Mary & St. David Armenian Churches of South Florida, held their annual Vartanantz Day celebration. The celebration marks the anniversary of the historic Battle of Avarayr, where 10,000 Armenian troops battled 300,000 Persians in a fight to defend the Armenian homeland, the first Christian nation, from the invading Zoroastrian Persian army. Vartan Mamigonian, for whom the day and organization are named, was the prince of Armenia and military general who led the fight and died for his faith on the battlefield of Avarayr. The Knights of Vartan program included a short video presentation about Vartanantz Day, remarks from John Kochkerian, dinner, desert, and singing of Armenian patriotic songs. 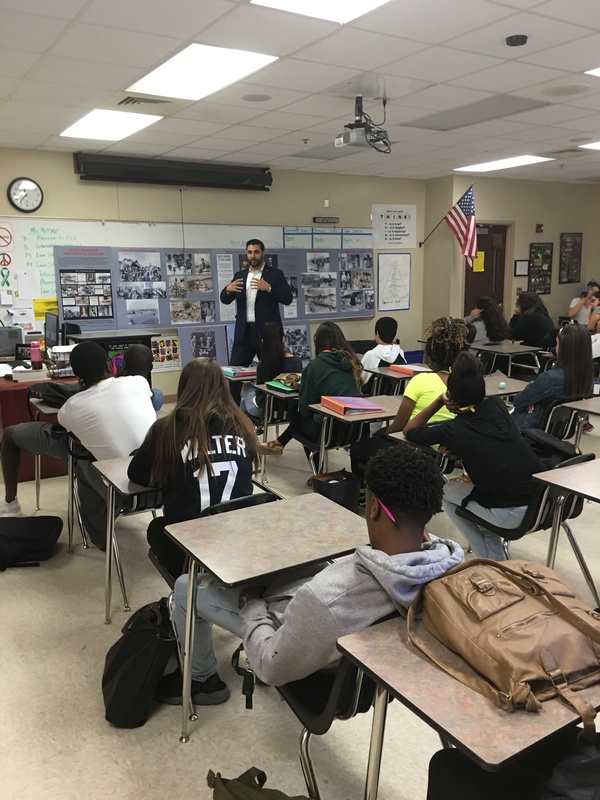 Taniel Koushakjian speaking to students at Palm Beach Central High School. Earlier that day, Arsine Kaloustian, Chair of the Armenian Genocide Commemoration, Inc. and Editor of FLArmenians.com, and Taniel Koushakjian, Founder of FLArmenians.com, gave presentations on the Armenian Genocide and the importance of human rights education to students at Palm Beach Central High School. Posted on March 28, 2017, in Armenian Church, Armenian Genocide, General Update, News and tagged Armenian Genocide, Arsine Kaloustian, John Kochkerian, Knights of Vartan, Palm Beach Central High School, St. David Armenian Church, St. Mary Armenian Church, Taniel Koushakjian, Vartanantz Day. Bookmark the permalink. Leave a comment.